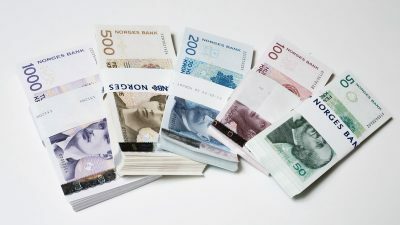 Norwegian media and the country’s central bank were reminding Norwegians on Wednesday that it was the last day they could use the NOK 100- and 200 notes from the country’s old series of currency that’s being phased out. The notes on the verge of becoming invalid are those showing the opera singer Kirsten Flagstad on NOK 100 bills and scientist Kristian Birkeland on NOK 200 bills. Merchants can legally refuse to accept themfrom May 31st. The bills can be turned in and exchanged at the central bank (Norges Bank) itself for the next 10 years. Some collectors were also planning to hang on to a few, especially the NOK 200 notes portraying Birkeland, because they tell the story of how how he explained the Northern Lights phenomenon. Norway’s new currency series that highlights the country’s maritime history was introduced last year.